Rhodiola Plus with Q10 (30mg), Rhodiola rosea extract. About the 80% of interviewed (age 14-65) said, in a recent survey, that they suffer or suffered from stress to several degrees. Rhodiola Plus is a good support. Content: 58g = 150 VegeCaps at 230mg each. Rhodiola is also known as the "arctic root": it grows in fact in the subpolar zones, in particular in Siberia, and has been used for millennia. Rhodiola seems to play a role in reducing fatigue by promoting recovery; counteracting mild depressive symptoms and stress; promoting cognitive activity; and improving immune defenses. 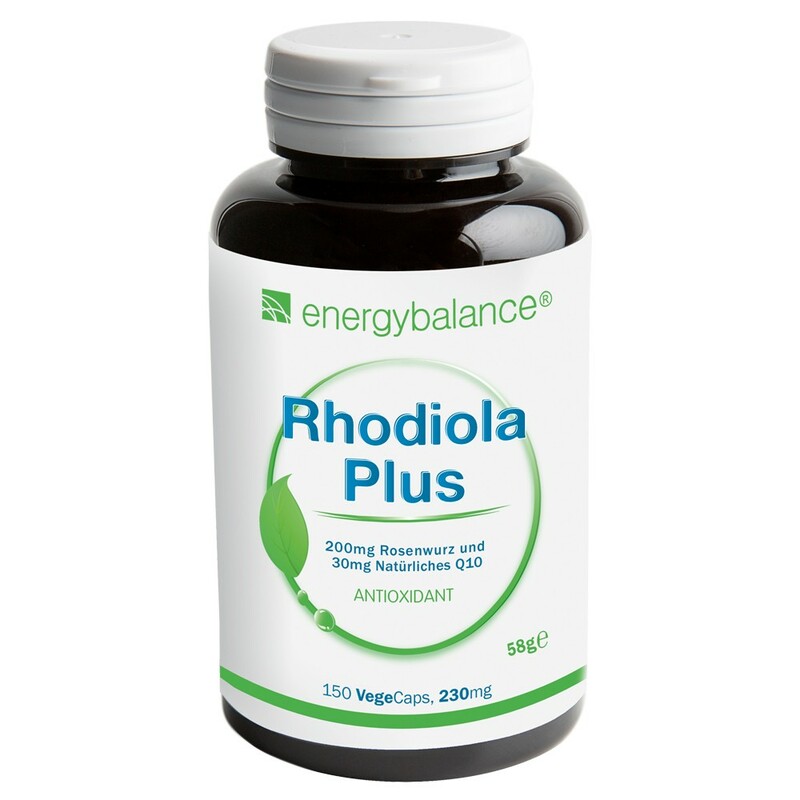 Rhodiola is considered an effective antioxidant. In particular Rhodiola Plus from EnergyBalance®, that is enriched with coenzyme Q10 (a powerful antioxidant). Independent studies (placebo/non-placebo) have shown the effects of this root in the treatment of depression and panic disorders. Recommended daily intake is 1 capsule/day (bottle with 90 or 150 VegeCaps). Rhodiola Plus from EnergyBalance® is gluten-free & vegan. Like ginseng, rhodiola is an adaptogen plant. By meaning "adaptogen" is any substance, drug or herbal remedy capable of increasing the body's resistance to stress, physical and/or psychological.